Where there’s smoke there’s fire! And where there’s fire, there’s Steven Raichlen. 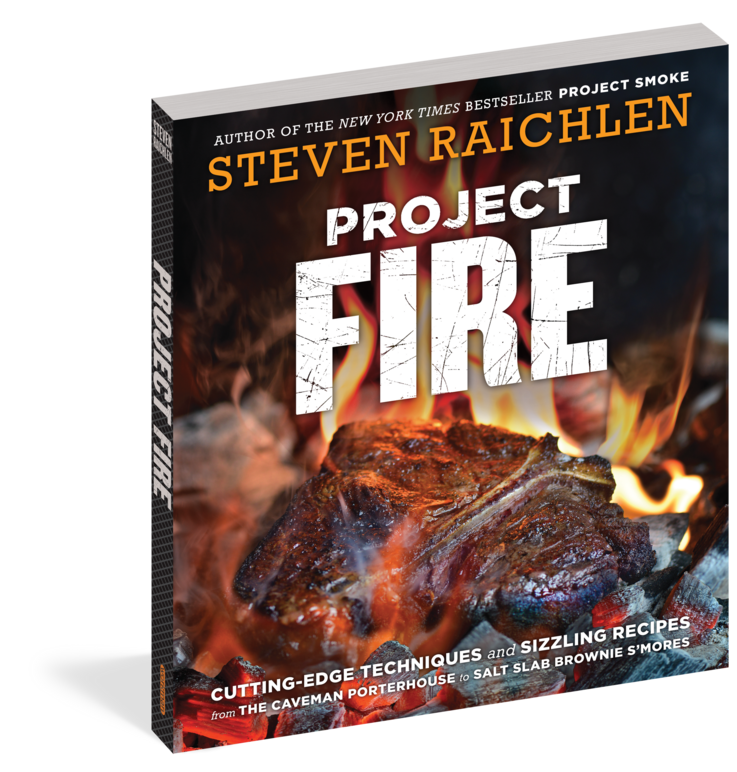 Following the breakout success of Project Smoke, the New York Times bestseller that brought Raichlen’s Barbecue! Bible® series to a new generation, comes Project Fire—a stunning, full-color celebration of the best of contemporary grilling from America’s master of live-fire cooking. No one knows his way around a grill like Steven Raichlen, and no one is better equipped to teach us how to deliver its best performance. Drawing on a combination of classic and boldly contemporary techniques, here are 100 inspired recipes that capture the full range of what grillers want to cook today. Consider your basic steak. Raichlen starts with the iconic—T-bone grilled over direct heat, smartly tattooed with grill marks and lavished, the way the pros do it, with sizzling beef fat. Then he teaches a technique new to most of us—reverse-searing, which allows you to grill a monster steak, like a beef tomahawk, to perfection while also imparting a haunting smoky flavor. Of course, there’s a Caveman Sirloin—meat seared right on the coals, as dramatic as grilling gets. Plus here’s how to blow-torch a veal chop. Spit-roast whole cauliflower on a rotisserie. Grill mussels in hay, squash on a salt slab, salmon steaks on a shovel over a campfire. From breakfast (Bacon and Egg Quesadilla) to cocktails (Grilled Sangria), from veggies (Caveman Cabbage and Smoke-Roasted Carrots) to dessert (Grilled “Piña Colada” and Cedar Planked Pears with Amaretti and Marscapone), Project Fire offers a radically righteous new take on live-fire cooking from the man who reinvented modern American grilling. Steven Raichlen is the author of the New York Times-bestselling Barbecue! Bible® cookbook series, which includes the new Project Fire; Barbecue Sauces, Rubs, and Marinades; Project Smoke; The Barbecue Bible; and How to Grill. Winner of five James Beard Awards and three IACP Awards, his books have been translated into 17 languages. 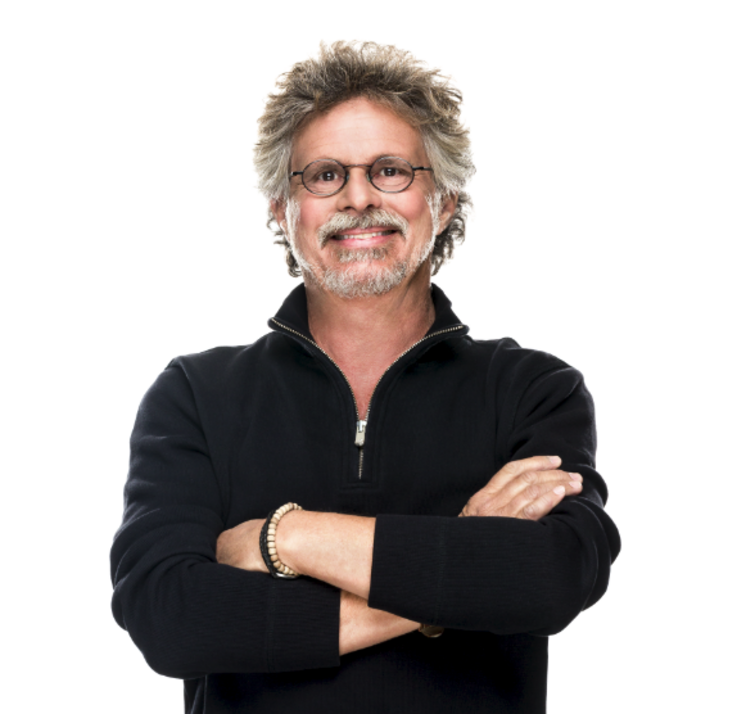 His TV shows include the PBS series Project Smoke and Project Fire; Primal Grill; and Barbecue University, Steven Raichlen Grills Italy — recently launched on Italian food television — and the French language series Les Incontournables du BBQ and Le Maître du Grill. Raichlen has written for the New York Times, Esquire, and all the food magazines. He teaches sold-out Barbecue University classes at the Broadmoor in Colorado Springs. In 2016, he was inducted into the Barbecue Hall of Fame. He and his wife divide their time between Miami, Florida, and Martha’s Vineyard, Massachusetts.